If one could conceive of a single elixir to improve the physical and mental health of millions — at no personal cost — what value would our society place on it? The good news is that this miracle drug — religion, and more specifically regular church attendance — is already in reach of most Australians. In fact, there’s a good chance it’s just a short drive away. Nearly two million Australians attend religious services every week. The draw for many may be meaningful liturgy, perhaps a sense of forgiveness and ultimately, salvation. Few would say they come for good health. Why might attending services improve one’s health? The Nurses’ Health Study finds that social support is critical, yet this accounts for only about a quarter of the effect. Other mechanisms seem to be important as well, possibly due to behavioral norms at services. For instance, those attending are less likely to smoke, or more likely to quit altogether, producing significant health benefits. Today, a greater percentage of Australians are choosing no religion at all, and we are witnessing the erosion of religious institutions. 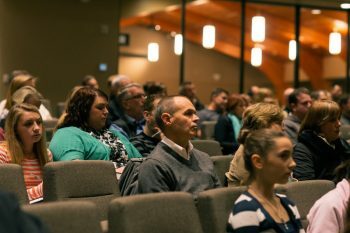 For some, church attendance is seen as quaint and outdated, and “spirituality” has become a code word for, “No thanks, I’m sleeping in on Sunday.” What this go-it-alone movement will usher out, it seems, is the benefits of being in the pews. After all, the research has shown that service attendance, rather than private spirituality or solitary practice, strongly predicts health. Something about communal religious participation appears to be essential. Second, on a more personal level, for all Australians who believe in God but do not regularly attend services, the relationship between service attendance and health might constitute an invitation back to church. Something about the communal religious experience and participation matters. Something powerful appears to take place there, and enhances health. It is something quite different from solitary spirituality.